It has now been two months since someone purchased a MEGA Millions ticket in Nipomo worth $326,163, and so far, no one has come forward to claim the prize. Winners have 180 days from the date of the draw to claim prizes. The ticket was sold at Stop N Buy, which is located at 459 West Tefft Street in Nipomo. It matched the numbers 43, 51, 53, 29, and 28, missing only the Mega number of 7. California Lottery officials remind winners to sign the back of their ticket, keep tickets in a safe place and contact Lottery officials as soon as possible. 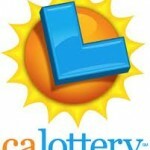 MEGA Millions is a multi-state game, played in California and 43 other jurisdictions. Players pick five numbers from 1 to 56 plus a Mega number from 1 to 46. I would invest and spend a lot here, a great amount, including industry that would stir employment so that our kids can stay here. I would move the hell out of here! the net proceeds simply pays off the home mortgage, buys a new car for the wife, and covers the initial investment for the kids college savings. Finally in black ink, broke, and just maintaining basic expenses.